Sunwashed Riviera BinSunwashed Riviera Bin, Mist alt="Sunwashed Riviera Bin, Mist"
Estimated ship date is 6/13/2019. Print Perfectly at home wherever you place them, these bins are a pretty way to store everything from towels to toys. 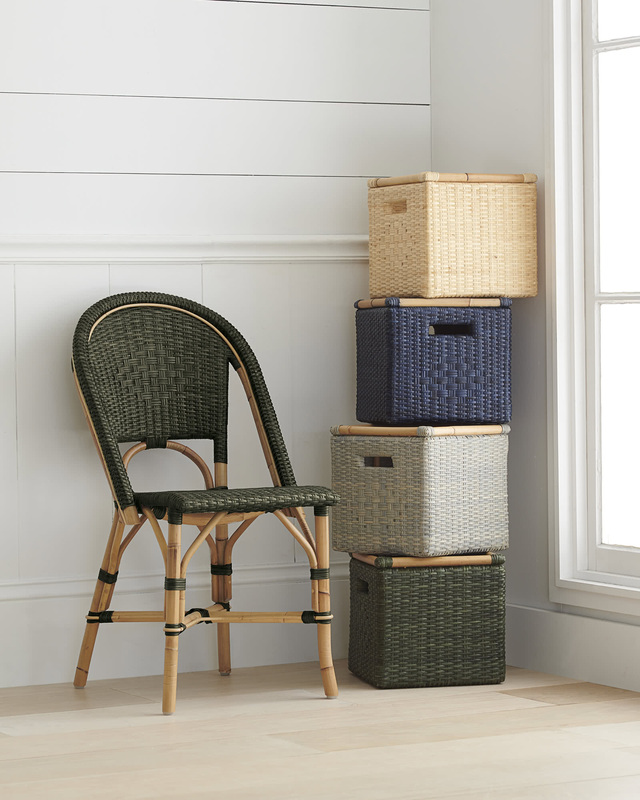 Inspired by our Sunwashed Riviera Collection, these have the same great details – our exclusive finish, gorgeous woven rattan, and a subtle diamond pattern that adds just a hint of texture. Coordinates with other pieces in our Sunwashed Riviera Collection. 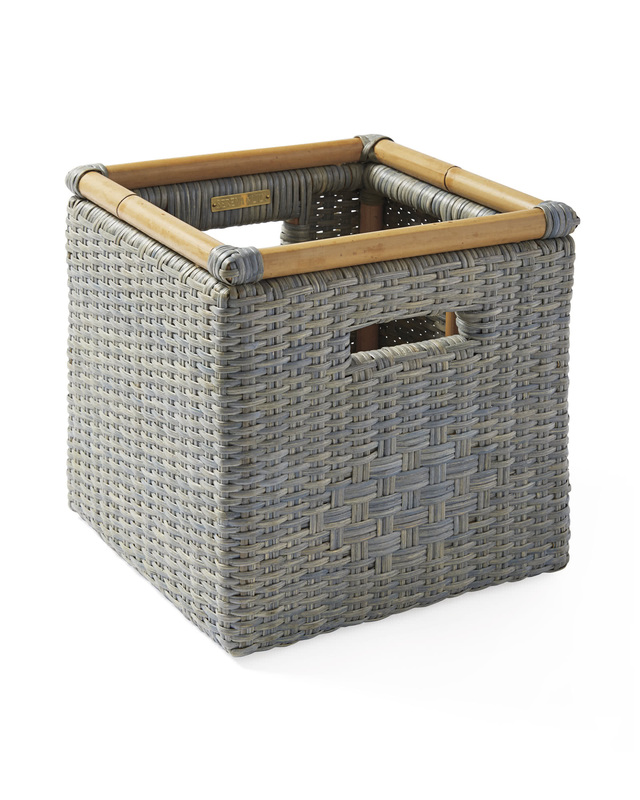 Woven rattan base and trim. Cutout handles for easy access and toting. Wipe clean with a soft, dry cloth. Avoid the use of cleaners and abrasives, as these will damage the finish. 11.5”L x 11.5”W x 11.5”H overall.